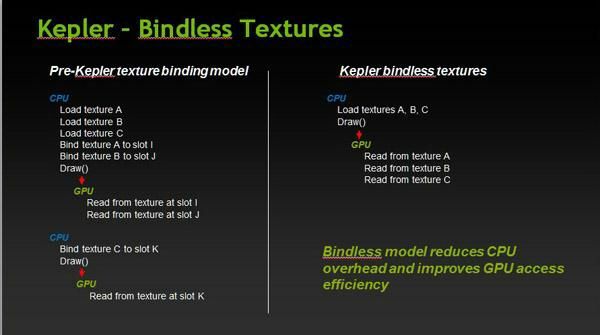 The GeForce GTX 680 has been launched few days ago and if you’re a bit lost with all reviews, NVIDIA has thought to you with the publication of a nice whitepaper that describes the architecture and new features introduced by the codenamed Kepler GPU. and other stress test apps: TDP-apps, strenuous real-world applications that push power utilization to the Thermal Design Power limits of a GPU), adaptive VSYNC, TXAA, NVENC (it’s the new hardware-based H.264 video encoder incorporated in all Kepler GPUs), bindless textures (currently they are only exposed in OpenGL, maybe later in NVAPI or in future versions of Direct3D –this is one of the reasons that explains why I love OpenGL: GPU makers can quickly expose new features via OpenGL extensions! ), tessellation performance and SMX (next generation Streaming Multiprocessors) and Kepler architecture. You can download the GTX 680 whitepaper HERE (29-page PDF). finally more than 2 monitors on a single nvidia card! Oh nevermind: A beta version of Cyberlink MediaEspresso with NVENC support is now available on the GeForce GTX 680 press FTP. What extension exposes the bindless texture? Kepler GPUs can do warp shuffling.